US law-enforcement and intelligence officials warned White House communications director Hope Hicks that Russian operatives attempted to reach out to her earlier this year. Introductory emails from Russian government addresses showed that the senders were not who they said they were. There was reportedly no evidence that Hicks did anything improper. The FBI reportedly warned White House communications director Hope Hicks earlier this year that Russian operatives attempted to contact her amid Donald Trump's transition into the presidency, The New York Times reported Friday. There was no evidence that Hicks, who was thrust further into the public spotlight after former communications director Anthony Scaramucci's tenure was abruptly cut short, had done anything improper, The Times noted. 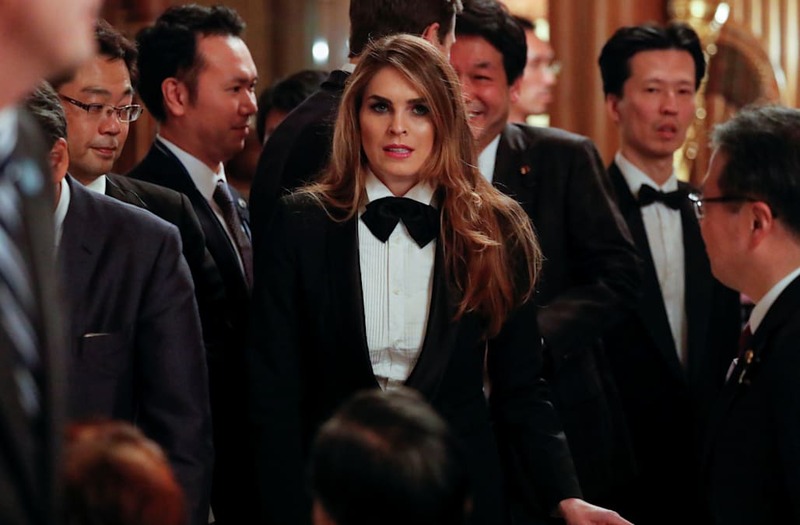 But former officials said in the report that the US intelligence and law-enforcement community — out of concern that Hicks may have been part of a Russian operation — became unnerved about introductory emails that were sent from Russian government addresses shortly after Trump took office. The contents of the emails and the exact identities of the Russians were not immediately clear, according to The Times. Hicks was reportedly warned by FBI counterintelligence agents at least twice during a "defensive debriefing," telling her that Russians who had contacted her were not who they said they were. Agents also advised Hicks to be cautious, The Times said. At least one other person close to the president had also been briefed by security officials, and Hicks reportedly told White House counsel Don McGahn about the meetings. Hicks underwent questioning this week from investigators working with special counsel Robert Mueller, whose team is conducting a broader probe into Russia's meddling in the 2016 presidential election, including possible collusion with the country from members of Trump's campaign.